The spotlight series brings to light authors’ approaches to writing for young readers and the secrets to their success. 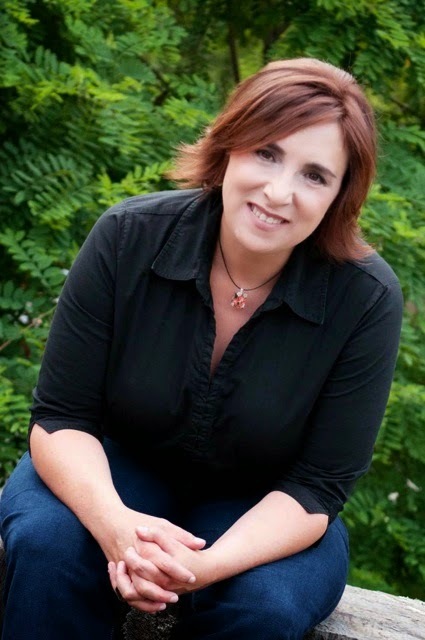 For this edition, I have the pleasure of interviewing Jennifer Castle, who is the author of two powerful contemporary young adult novels published by HarperTeen. Before becoming a successful author, Jennifer learned the craft of writing in a variety of ways, starting with earning a B.A. in Creative Writing at Brown University. Afterwards, she worked as a publicist’s assistant, an advertising copywriter, and a screenwriter before producing websites for kids and teens. Then, she started to write young adult novels. The Beginning of After explores how a sixteen-year-old’s world changes when her parents and brother are killed in a car accident. Published in 2012, it won the YALSA Best Fiction for Young Adults selection as well as a Chicago Public Library "Best of the Best" book choice. Her next novel, You Look Different in Real Life, examines the lives of five kids who have been the subject of a documentary series every five years and focuses on what happens to them during the episode when they turn 16. As a sneak preview for our readers, can you share with us any secrets about upcoming projects? JC: I'm currently working on another YA novel under contract for HarperCollins. Both of my previous books had romantic subplots, and I so enjoyed those elements. (I mean honestly, is there anything more fun than writing about kissing?) That was the first inspiration: "I am finally going to write a full-on swoony ROMANCE." We’d love to know how the idea for this book came about. JC: I knew I wanted to draw on a specific time in my own life that involved depression, an infatuation, and what happens when the fantasy of a crush meets the reality of an actual person who has, you know, secrets and baggage and stuff. The thing about writing a book that's deeply personal is that you think it's going to be a breeze, because you already have so many of the emotional touchstones in place. It's actually very difficult, and I'll freely admit that this book has been a struggle, but a good, learning struggle. What is your workspace like, and how do you write? JC: I usually work in my office, which is a room on the second floor of my house. 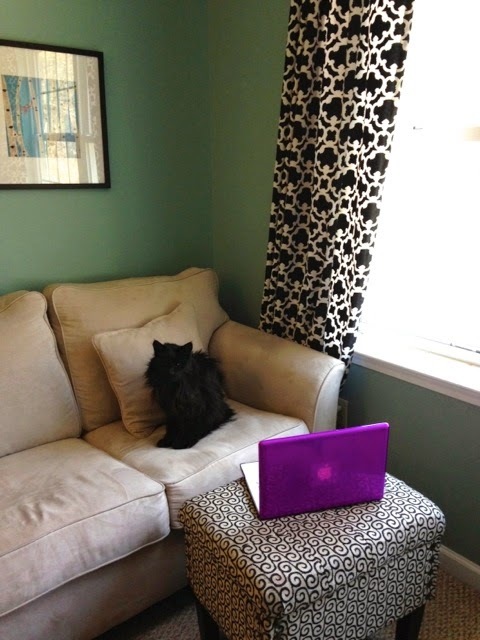 I write on my laptop, sitting on a couch with my feet up on an ottoman, and usually one or two cats near me (or on me, if I'm feeing like a pushover). I have a big window that looks out onto the woods, and I never get tired of looking at those woods—I'm always seeing new things in the patterns of trees and greenery. Is there a best time of day for writing, or any secret snack, beverage, or music that gets you flowing? JC: My routine is that after the chaos of getting two kids off to school, I'll transition to my work day by playing a game of online Mahjongg while listening to music from my writing playlist, then tell my Mac Freedom program to lock me out of the Internet for two hours. After those two hours, I'm often flamed out for the day, but if I'm revising or really cranking on a deadline, I'll take a break and then go in for another "session." My secret snack weapon, saved for when I really, really need it, is a bar of dark chocolate and some green tea. Why do you write young adult novels? JC: The simplest answer is, that's where my storytelling heart lives. It's where my writing voice feels the most organic and authentic. But I've considered this question a lot, and I've realized that young adulthood is where the overarching issues of life—love, friendship, family, identity, generally finding one's place in the world—explode gloriously. There's an urgency that's so compelling to me: all literature asks the "big questions," but YA lit really really really wants to know the answers. Looking back at your writing career so far, what did you do right that helped you break in? JC: I got very lucky in the "breaking in" department. The first book I ever wrote was the first book I published. I queried just two agents; both offered to represent me. When the manuscript sold, it sold in a two-book deal to an editor who was a great match for me. And I'm forever grateful for all that. But in retrospect, I could say that the big thing I did "right" was to take my time and write the best book I possibly could. What’s been your biggest lesson about the publishing process? JC: I would say the biggest thing I've learned in publishing is, strangely or not-so-strangely, the biggest thing I've learned in parenting: you have to pick your battles. This is true when it comes to writing and editing as well as marketing and promotion. Your editor will send you a million (or at least, it will seem like a million) notes and scrawled comments in the margins of your manuscripts. You might want to resist most of them, but you really can't, for the sake of your working relationship and the joint effort to make a book as good as it can be. I've learned how to identify which of my choices I want to fight for, and I think that continued process helps me grow as a writer. Which were your favorite books, and what did they inspire in you? 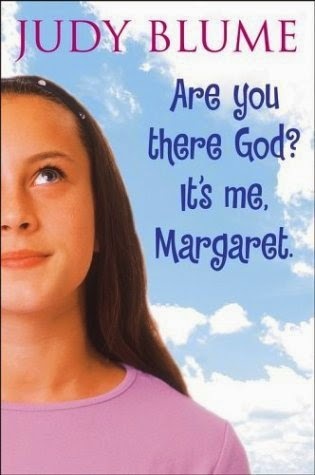 JC: I would say my favorite books of all time are from the Judy Blume canon: Are You There God? It's Me, Margaret, Deenie, and Then Again, Maybe I Won't. These books inspired me deeply when I read them as an adolescent and are probably what set me up to write "realistic fiction" for teens. It was that feeling of, "Oh! I'm not the only one who feels this way! These characters are just like me and my friends!" I can remember lines and moments from those books, which I haven't read in 30 years, better than I can remember some things from novels I read last month. Is there a secret about you that our readers may be surprised to know? Even though I'm in my forties, I still feel surprised when I hear someone refer to me as a "woman" or "lady." I still feel like a girl, and I secretly hope that never changes. This is a wonderful interview. The advice about picking your battles and accepting editorial comments is extremely helpful. Also, I love the cat and the computer. Thanks, Wendy! Yes, I found myself marveling at Jennifer's wit and wisdom, also. It's so positive to think of publishing in terms of a relationship rather than a business! What a great interview, Chris! 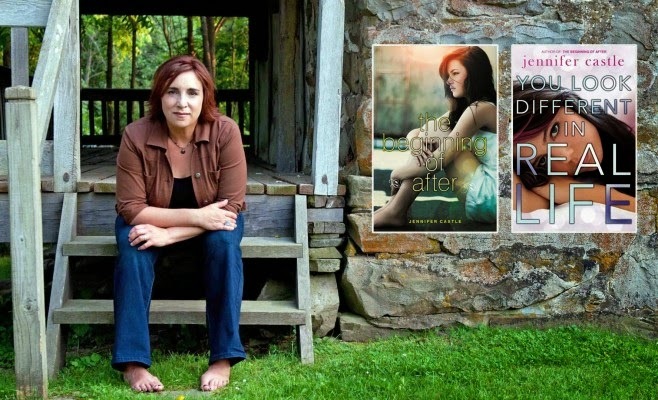 I can't wait to add Jennifer's books to my TBR pile. Thanks, Jean! I love all the personal touches she includes in her answers. I'm definitely going for the green light on dark chocolate and green tea! Thanks, Kimberly! Jenn is the best, so wise and funny.